Sun OS « Labas, Lietuva! Explain me, why it is necessary to pay money Fluendo for their DVD player which does not work (in my quite casual machine) while there is perfect solution has been made before, just need to read and follow OS manual sometimes. No doubt it works. Fluendo DVD player made a playback only for one DVD from ten, while after installing libdvdcss2 (masked in Synaptec Package manager as ubuntu-restricted-extras) DVD starts to playback immediately in Elisa. So, do not pay for what has been made for nothing. A some time ago were bought Fluendo Complete Set of Codecs for OS OpenSolaris. And what you thing: has not been heard a sound in two movies in avi format from three, despite that everything worked perfect (later in one DVD with avi were found kind of error, due what a dubbing sound has gone and original were heard) in Ubuntu. 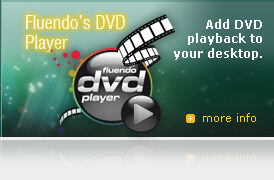 No doubt, Sun made a mistake with inclusion Codeina – a kid of widget offering you to buy codecs from Fluendo. Suppose, that it is example of cloud computing probably. (Must add, that my codecs to OpenSolaris were installed without Codeina, but that should not matter.) There is not talk or blame about OpenSolaris, but about Fluendo. Sun discredited itself with Codeina. As about Fluendo production – thanks, no! It does not works.